Charming illustrations and full-color photographs combine with humorous textâ€”in printed letters and cursiveâ€”to engage children and stimulate an early love of reading. Each book in the series concludes with a summary and basic information about the animals. Ilustraciones encantadoras y fotografÃ­as a todo color se combinan con textos humorÃ­sticosâ€”en letra de palo y manuscritaâ€”para captar a los niÃ±os y estimular un amor temprano por la lectura. 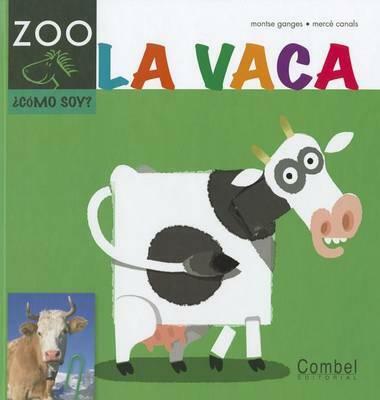 Cada libro en la serie concluye con un resumen e informaciÃ³n bÃ¡sica sobre los animales. Learning about what cows look like and what they provide for people entertains children as they try to pick out which illustrated cows are really cows and which are just silly and imaginary, with their six legs, colorfully striped bodies, and donkey ears. Aprender sobre cÃ³mo sonÂ las vacas y quÃ© les proveen a las personas divierte a los niÃ±os mientras intentan discernir cuÃ¡les de las vacas ilustradas son realmente vacas y cuÃ¡les son ridÃ­culas o imaginarias, con sus seis patas, cuerpos con listas coloridas y orejas de asno.